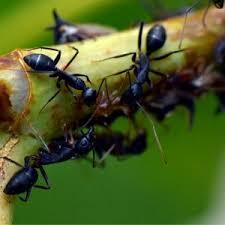 Ant colonies have two main working groups – outdoor foragers and indoor nurses. Result? Stroeymeyt observed all outdoor ants in the infected colonies, regardless of health, limiting their interactions with INDOOR ants. Segregation between groups helped limit the spread of infection to ONLY the outdoor ants. This behavioral change protected high-value ants like the young and the Queen – ensuring colony survival.